In this video Stephanie Cure talks about react-native. She explores two main concepts of react native architecture: react-native packager and the bridge. Stephanie also explains how styling and layout works with react native and how to code in it. 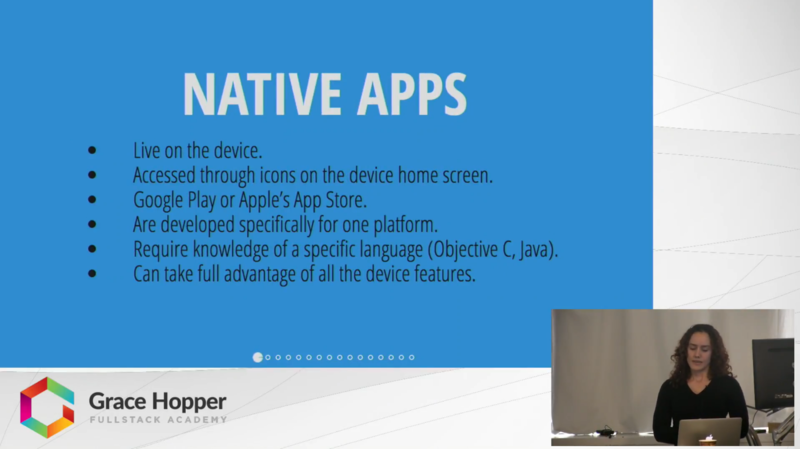 Lastly, she explains some of the advantages of using react native to build mobile apps.